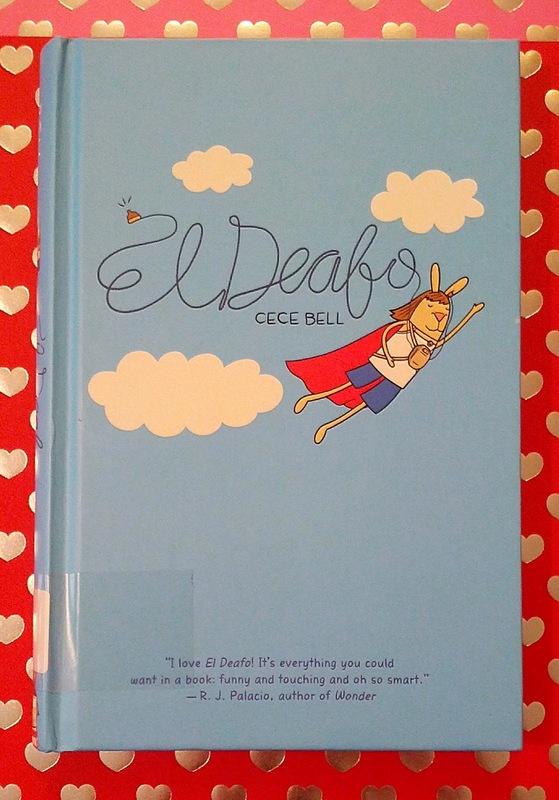 Alysa: El Deafo is the memoir of Cece Bell, who lost her hearing to menengitis at age 4. In El Deafo, Cece is able to hear with the help of some hearing aids, but life is complicated for every kid. The book spans from the time Cece is four until she's in fifth grade, and touches on childhood friendships, school politics, sign language and hearing aids. Levi: I don't know. It's kind of about when so like when she's kind of goes into her sign language class (his favorite scene). Alysa: Everyone!!! This was such a great book! Levi (who is 4) insisted that I read it out loud to him as I was reading, and he loved every page (even though lots of it was over his head). Alysa: "And thus, Martha Claytor, by the hand of fate, is transformed into that most glorious superhero of all, the True Friend." Alysa: Mike Miller. So nice. Levi: El Deafo (Cece's alter-ego who has superpowers). The final word: This is a landmark book. It feels very true-to-life, gives you all the feels, and helps you sympathize with the deaf and hard of hearing. Two thumbs way up! If you want to purchase this book through one of my affiliate links below, I will earn a small commission. Reading is so great. *Bonus trivia: Cece Bell is the wife of Tom Angleberger, who wrote all those Origami Yoda books we love so well. I met her at the Decatur Book Festival 2014! This sounds like a good one. Thanks for reviewing it. Just ordered a copy which is unfortunately on back order--BUT this is a happy problem since this shows there's much interest in that topic! Yay! I'm very interested to know what you think of the book, Nancy!